So how did ganja come to play such an important role within the Rastafari religion? Rastas believe that the Tree of Life mentioned in the Bible is the marijuana plant and that several other biblical passages further promote its use, such as “Thou shalt eat the herb of the field” (Genesis 3:18), “Eat every herb of the land” (Exodus 10:12) and “The herb is the healing of the nations” (Revelation 22:2). There’s more to Rastafari marijuana use than you may think. Image by Nicolas Alejandro Street Photography. Reasoning sessions are very important religious rituals for Rastas – it’s a time for them to come together to debate living according to the Rastafari outlook. The effects of smoking marijuana allow the user to reach a sort of “cosmic consciousness,” a state where they become closer to “Jah” (God) and can see the truth of the world more clearly. One of the most common misconceptions about the Rastafari religion is that it centers on getting high, the insinuation among some people being that it’s just an excuse to smoke a lot of pot. In the 1970s, 60 Minutes – the most watched news program in the USA – portrayed Rastafarianism as nothing more than a drug-smuggling business using religion to mask its real activity: the import of illegal drugs. These negative outlooks have been very damaging for Rastafarians, and many have even been forced to defend their religion in court. Rastafari believe that marijuana laws are an affront to God as well as an obstruction to their religious freedom, and the fact that marijuana is illegal has meant the Rastafari religion has become unfairly tainted as a result. While programs like 60 Minutes implied that the determination of many Rastafari to continue smoking marijuana is a sign of willful disobedience, this is generally incorrect. Part of the Rasta belief system is the idea that it is wrong to worship money-orientated institutions; their word for this existing establishment is “Babylon.” In their eyes, the ban on God-given plants is just another sign of the immoral nature of Babylon and a way to exercise an authority that no one has the right to possess. 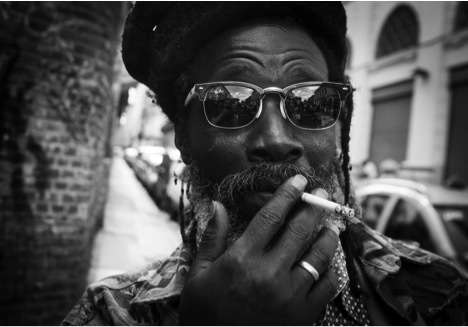 While a generic stereotype of Rastafari is that they just sit around smoking pot and not doing much else, marijuana is known for its demotivating effects – so how much truth is there in this? Rastas would say not much: they believe that ganja alters a user’s consciousness, ideals and objectives but only insofar as it removes the urge to pursue a Babylonian view of success. Instead, marijuana allows them to see past the world of material possessions and self-destructive pleasures. But what of these self-destructive pleasures? Could smoking marijuana not be classified fairly accurately as a self-destructive pleasure as well? Aside from the damaging physical effects smoking marijuana has on the body, it is also linked to increased risk of mental health problems such as depression and anxiety, and can affect brain chemistry so gravely that it’s believed to trigger schizophrenia. Some studies have shown that diagnoses of schizophrenia or psychosis are over three times more common in African American people; if this is correct then the detrimental side-effects of smoking marijuana could be exacerbated further. Pfeifer’s sentiments evidently resonate with the many Rastafarians who choose not to smoke ganja, so it’s clear that the health implications are not going unheeded. While the individual use of marijuana may come down to personal opinion, it’s evident that the pervasive stereotype of stoner Rastafarians is both an unwelcome, and unwarranted, misconception. ← Previous Post Points on Vacation! This article is hogwash, and supposes a racial link to schizophrenia instead of the obvious and recognized links with poverty and disenfranchised. i.e., this article is racist. As well the links between cannabis and schizophrenia have long been rulled out by serious science, there are no no rising rates of schizophrenia coinciding with rising rates of cannabis use. Also the amount of Rastas that do not use cannabis, is a small fraction, much smaller than say the amount of Christians who do use cannabis. Further there is a well established religious base, going back millennia for the Rasta’s use of cannabis, and many Rastas know about this…. not the author of this article however, this is a classic case of looking from the outside within. This article is in no way “racist” Chris. How absurd! I think it’s quite clear from the structure of the article that it’s trying to look at “both” sides and give a balanced piece. The link between psychosis/schizophrenia and skunk in particular has NOT been ruled out definitively, either. It’s far more negligible than people thought but I think someone needs to get off their high horse and do some research into the effects of skunk and the much more potent streams of cannabis that are around today. And I say that as someone who thinks it should be fully legalized. I don’t agree with every point made here but I find it laughable how someone can find something “racist” because they personally don’t agree. Thanks Emily, I thought this was interesting. Yeah id say the racism and cannabis prohibition against our darker brothers and sisters, as well as poverty and hard drug abuse in the ghettos, with all the police abuse and brutality on top of it all… plays way more a role than cannabis “Correlation never equals Causation”, Andrea and Emily! Thanks for your comments, and thanks for reading Points. You both make very valid arguments, and I’d like to make sure that you know that Points has consistently been against racial profiling and the unfair enforcement of drug laws. You can see that in many of our previous posts where we show how these negative phenomenons have evolved, and how we work to expose the racist historical underpinnings of our current situation. In defense of Andrea’s post, however, I’d like to say that she’s simply bringing up both sides of the story. As a journalist and not a historian, Andrea’s background has trained her to discuss both sides of the coin – thus, when writing about marijuana use, she also suggests that there are negative sides to it. There is a far longer and more complicated history to both Rastafarianism as well as the phenomenon of schizophrenia in the United States, and while this article may make some jumps between the two, her ultimate argument, that “the pervasive stereotype of stoner Rastafarians is both an unwelcome, and unwarranted, misconception,” is something I think we can all agree on. I agree.. hogwash. There’s no real information here. So, evidently, the great moral imperative of eradicating drug addiction, which is closely correlated with poverty and familial disintegration/dysfunction, which closely correlate to the racialized war on drugs and economic disparity (Babylon), is hindered by disinformation on and prohibition of cannabis. There are also strains of cannabis which are safe for children, with a lot of CBD, with little THC, which don’t cause “highness,” and instead are purely a medicinal and remedial herb for which there we have thousands of years of therapeutic use documented in the literary and anthropological record. I’m not a journalist, I’m a mere student. rasta is not a religion as you would know if you acknowledged what rasta says & sing about.. its a way of life, not a religion.. which is much more important as its living something instead of just believing… rasta is a way of life that has been around since creation & pretty much all Rasta get annoyed with it being referred to as a religion.. like the holy books rasta read.. there are some before the old testament, side by side with the old testament, between the old & new testament, along side the new testament & after the new testament. There are still even religious books being written today about holy events currently happening. Religion tends to be beliefs based on historical events.. rasta is knowing of all past, present, future, living in the most natural way possible, which utilizes all 7 senses. the Coptic christians of Ethiopia are closer to rasta than christianity as they follow a form of christianity that was around about 1000 years before jesus & are also the most holy people (other than King Selassie) to walk as the keepers of the arc. King selassie was crowned ethiopia’s & isreal’s king, sharing the bloodline of menelik. Ethiopia also holds thousands of un translated stone tablets from the times of jesus. Ethiopia has always been a holy place anyway as it is where the human race comes from. The article takes as faith that cannabis has “demotivating effects,” a theory that has been disproven many times. In fact, one of the first studies to debunk “amotivational syndrome” was the Ganja In Jamaica study of the 1970s, which followed thousands of Jamaicans, both cannabis users and non users. The cannabis users in the study were more productive farm hands than their non using co workers. In Jamaica and other places, cannabis is attached to a work ethic, much like coffee is in the USA… you smoke on the job so you can be a better worker.